Goldsmiths art students were out in force on the March for the Alternative, in a partnership project with the Museum of London. Students handed out placards with historical protest imagery at the start of the march, took some great timelapse video of the day, and organised collections of placards and props at the rally, hoping to gather a record of creativity in popular protest, to use at the Museum. 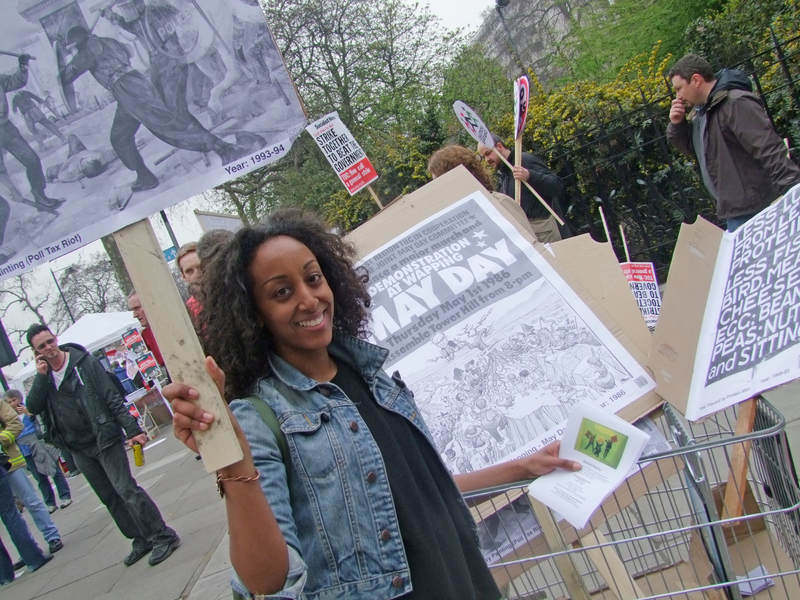 The team had loads of placards donated on the day, but are still after more of people’s creative protest art. If you’ve got a placard you’d like to donate, they’ll be holding another collection at the Museum of London on Saturday 2nd April. Drop them a line on saveourplacards@gmail.com or contact them on Facebook to arrange it, or to send in any photos you have of yourself with your placard on the day.